Seminal UK dance label Warp Records celebrates its 30th anniversary this year, having given us three whole decades of essential albums, singles and EPs across the EDM and electronica spectrum. 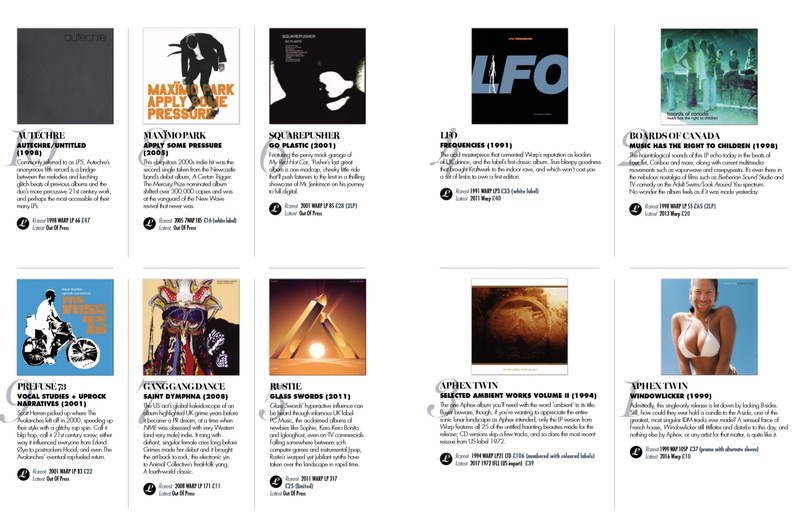 Anyone looking to complete their Warp Records collection on vinyl should pick up issue 24 of music magazine Long Live Vinyl, out now for March 2019 and featuring the top 40 Warp Records releases to date from the likes of Rustie, Prefuse 73, Flying Lotus, LFO, Danny Brown, Oneohtrix Point Never, Jamie Lidell and more. There's also a guide to Warp sub-labels past and present like Nucleus, home to Rhythm Invention and RAC, and Lex Records, which gave us the likes of Boom Bip and his From Left To Right EP, with excellent Boards of Canada and cLOUDDEAD remixes. As a taster, check out these excellent Warp Records compilations if you're looking to get into the label's back catalogue but not sure what samplers out there you can buy on vinyl. Warp is turning 30, but it’ll be hard to top this lavish 5 LP/5 CD box set compilation made in honour of its 20th anniversary. The well-known and obscure are all here, with essentials from across the careers of Plaid, Squarepusher and more, plus influential singles like Aphex Twin’s On. A great starting point for any Warp newbie. The perfection snapshot of Warp’s bleepy early years, this 12 inch gathers classic tracks from one-hit wonders like the joyous Tricky Disco to mental Richard H. Kirk side project Sweet Exorcist. This Record Store Day exclusive saw ambient dance lord Nicholas Jaar take on two tunes by Warp alumni, one the title track for a 2012 Eno album, the other a cut from Grizzly Bear’s final album for Warp, Shields. Ever wanted to hear Stereolab remix Boards of Canada, or Spiritualized rework LFO? Your dreams all come true on this four disc boxset, released to celebrate the label’s first decade in music. Chris Clark has been a veteran name on Warp since the 2000s, and in that time he’s lent distorted and dramatic deconstructions to big names like Depeche Mode and Maximo Park, all featured here over four discs. Interestingly the compilation has a remix of a Massive Attack Heligoland-outtake which has never been heard in original or alternate form, Redlight.